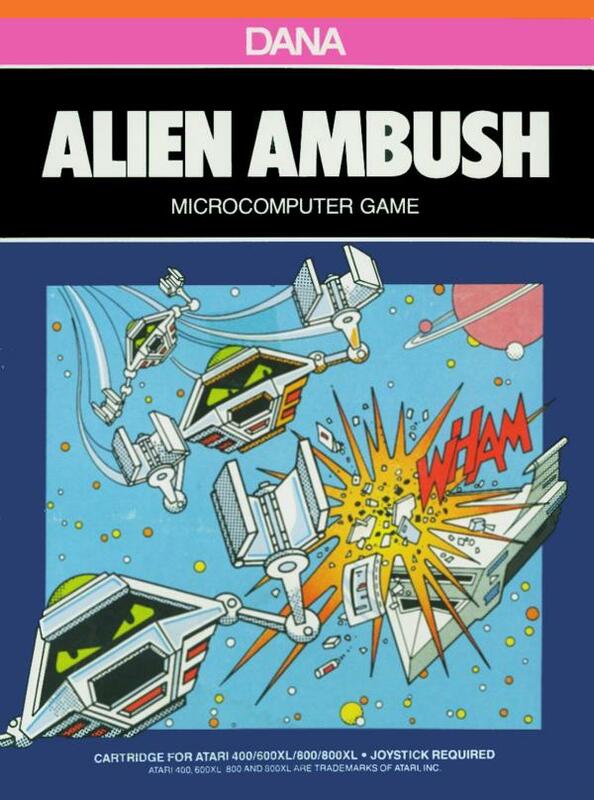 Alien Ambush is simplistic, one-dimensional and looks more like a 2600 game than a computer game. But it's actually fun. Controls are responsive and the movement of the aliens around the screen is somewhat original. 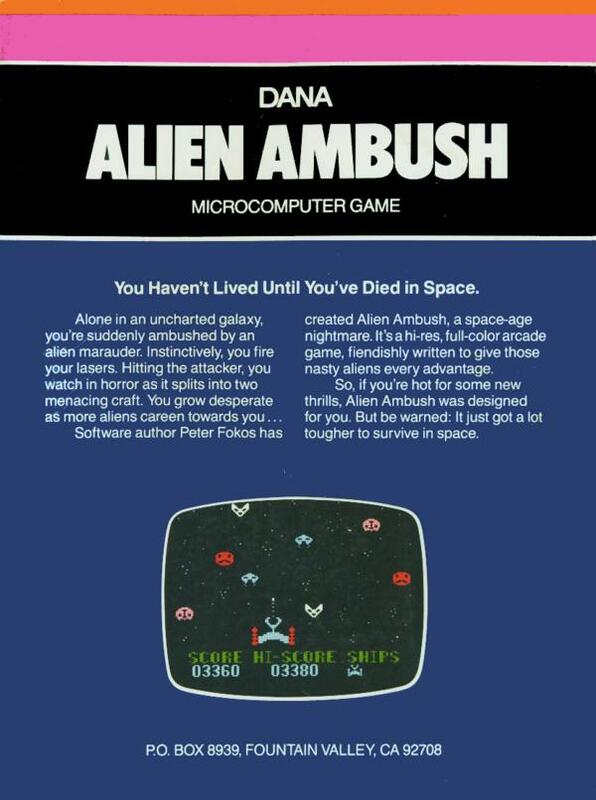 Alien Ambush is a very challenging Galaxian style arcade game with quite responsive joystick control. It is notable for the graphics styling decisions made by the creator, which appear to show off the expanded horizontal pixel width option of the Atari's sprites (aka player/missile graphics).